Happy Valentine’s Day weekend, I’m sending out lots of love to all in the SWTOR community. How do you plan to spend this heart day? Perhaps you and your special someone will track down bounties during the Bounty Contract event. Or maybe you and your love plan to level up during Double XP this weekend. There are countless things you can do, myself I’m going to the Comic Con being held in Indianapolis. The nephews and I will be loving all the geeky goodness the convention has to offer. Update 3.1 has been added to all the live servers. Yes, the update was pushed back from the February 10th target date. Well what does Update 3.1 have for us? For starters Season 4 of Ranked PVP started after the new update. This season will run right into Season 5, since it was stated there will be no break in between the two seasons. Look they have already teased Ranked rewards. 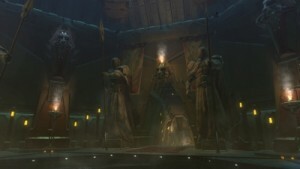 BioWare has also offered Hardmode versions of the two Tactical Flashpoints, Blood Hunt and Battle of Rishi. What do you think of the two new HM Flashpoints? I haven’t had the chance to try either of them, yet. Be sure to also read up on all the patch notes to find about all the fixes and additions in this latest update. February 9th the official post of the 2015 Producer’s Roadmap appeared on the SWTOR website. The Roadmap, written by Bruce MacLean, was read at the PAX South Community Cantina. 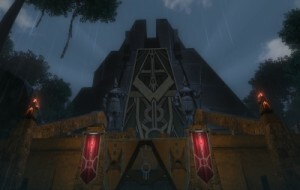 First off, it is great to have the Producer’s Roadmap for this year on the SWTOR site. Anytime the site is updated is a good thing. However, the celebration sort of comes to a halt there. Now remember, that the Roadmap is just a written outline that highlights the direction BioWare has planned for the game. Okay, the written version is almost identical to the version read at the Community Cantina. Again this is not a bad thing, but the fact it took two weeks to get it on the website does seem like a mistake by BioWare. If there had been some other details, concept art, or even dates I believe the community and I would not have minded the extra time it took posting to the SWTOR website. The other issues are a bit minor, considering producing a video game tends to be a fluid process with dates being changed all the time. Although if there were any doubts on content making a deadline, the time to be cautious with dates was when it was first read to the community. The lack of the date in the written Roadmap for Update 3.2 makes players feel like the content is already delayed. Also by placing the playable species, the Torgruta, outside of the section for Update 3.2 and listed in the section labeled “and Beyond,” gives players a sort of letdown. Honestly, there is no winning for BioWare on these issues, but I do think it comes down to better communication with the player base. The posted version of the Roadmap should have been what was read during the Community Cantina. Next, the following week after the Community Cantina, Roadmap for 2015 should have been posted. I also would have liked them to post one teaser image of future content. It should be something that sparks interest, perhaps an image where a small piece of the larger picture is revealed week by week. I don’t know if that is the best thing, but something along those lines. All in all the Roadmap is not terrible, but it could be a lot better. Perception is reality, as the saying goes. Right now the perception of BioWare’s communication is lacking. So how do they change the perception and reality? I am seeing a few questions in this thread that I want to address. First, just a general reminder. This Producer Letter from Bruce is not a comprehensive list of every piece of content or feature you will see this year. It is primarily targeting the beginning of the year. As the we get further into the year we will continue to release more details about what we have on the horizon. By two major content updates are we talking about expansion sized stuff like strongholds/gsf or just regular patches? Bruce just came by and agreed that his Producer Letter should have mentioned Class Balance and that of course we will definitely be making Class balance changes throughout the entire year and beyond! We are still working on this. Unfortunately, I have no further updates at this time. The PVP team is as busy as ever. We aren’t ready to talk about what they are working on. Please remember that this is not a comprehensive list of the whole year, or even beyond then! By the time this post was made by Eric, the community was already in a frenzy. I do commend the post and applaud this kind of communication. The only issue I have with it, is there needs to be more of it and possibly quicker responses. Even if there is a post saying, “I or we are looking into this issue/concern and we will get back with answer as soon as possible.” That type of communication via the forums, Facebook, Twitter etc. would help build confidence back into the community. The post itself, I’m glad to see there will continue to be more Class Balance occurring. It is sort of something that happens, but again hearing it or seeing it in a post or blog reassures players. Even the short sentence about how they are still working on the queuing issues. Yes, it is not great they have no further updates at this time, but at least we know. What suggestions do you have for the community team, as far as improving communication? Let us know in the comment section below. This week’s video is a bit more than a music video. The YouTube user Axurion Exeiro has created a tribute to his Jedi Consular. There are several cutscenes edited together to present this compelling story. 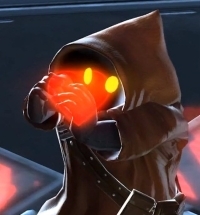 The edited footage is from the Shadow of Revan expansion including a few clips from the two new Flashpoints. The video runs longer than many I have featured here, but the quality of the video more than justifies the extra time to watch. Please let us know what you thought of the video in the comment section below. Be sure to let the video’s creator know your thoughts about it.